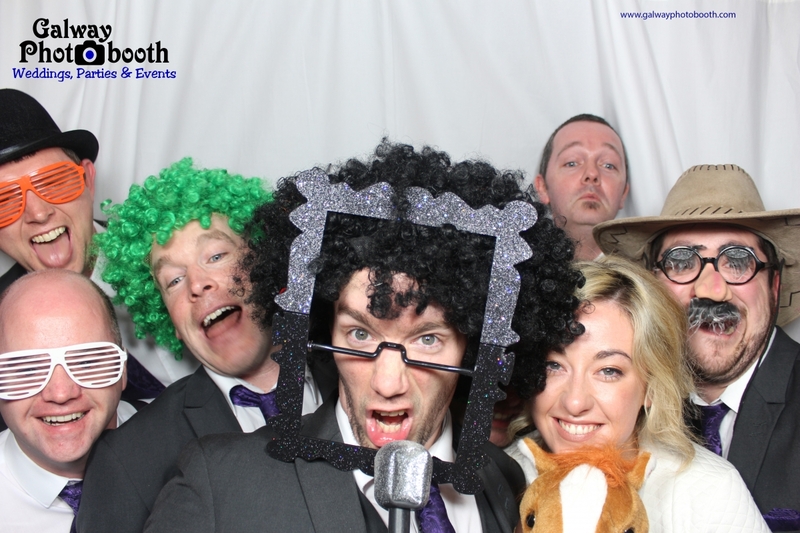 Galway Photobooth can provide you with a very high quality Photo Booth (and optional Video Booth) service with unbeatable value. We aim to provide THE most fun and best value-for-money professional photo booth service. We can tailor our Photo Booth packages to suit your needs and budget. It is very important to us that you are 100% happy with our service. Our open style booth can accommodate up to 15+ people if you can manage it, though up to about 6 will fit more comfortably. Although we can cater to other occasions, we are wedding specialists, and the booth is designed with this in mind. The photo booth itself is extremely versatile, and can be used in a multitude of ways and locations. If you have something in particular in mind, just let us know! The latest technology is incorporated to produce a quality service. A large simple touchscreen means even your most computer illiterate guests can use it with ease and an assistant will be there to help at all times. Professional Canon DSLR camera captures the sharpest pictures possible, while a professional sub-dye printer prints a high quality durable print in a few seconds. We also carry backup equipment for the photo booth and have public liability insurance for peace of mind at your wedding or big event. Have a look at the package details, and read the FAQ’s! Visit our Facebook page to see some photos and keep up to date! We are based in the midwest (Galway, Roscommon, Mayo, Offaly, Clare, Limerick, Tipperary, Westmeath, etc. ), but can easily travel nationwide to your wedding day! If you have any questions or would like a quote, please fill out the “contact & quote” form on this website, and we will be back to you as soon as we can.